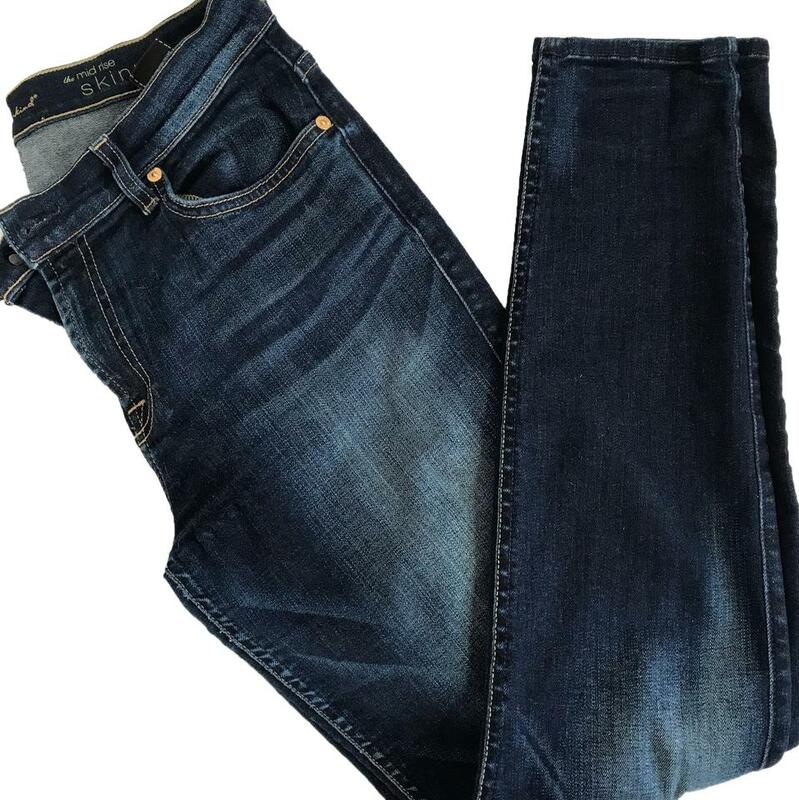 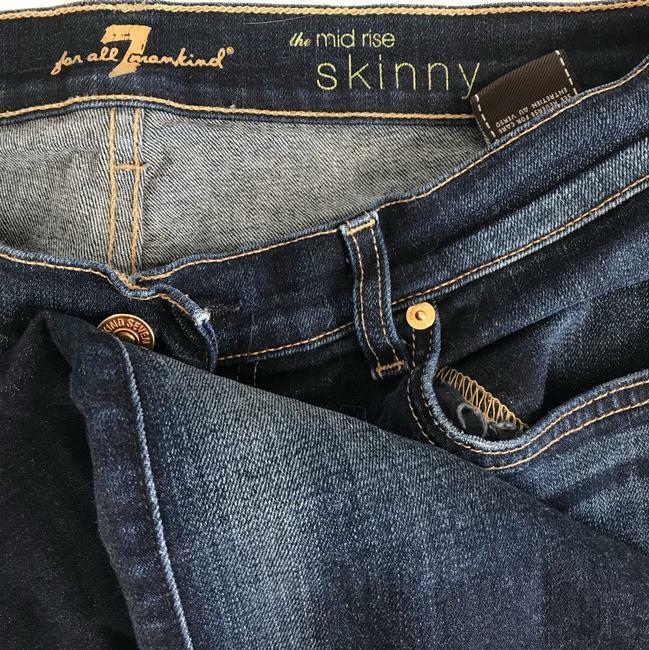 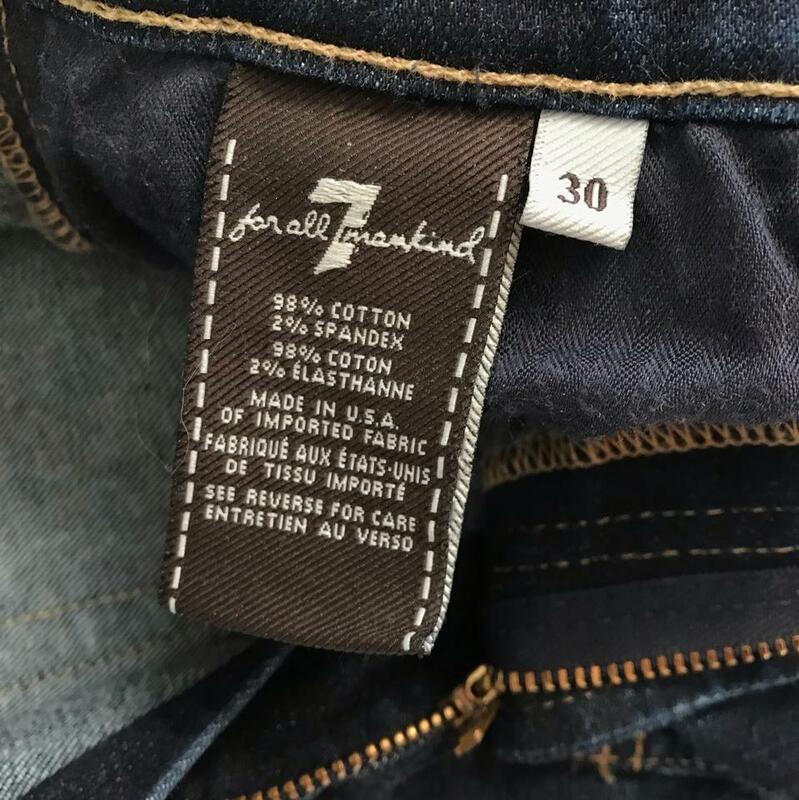 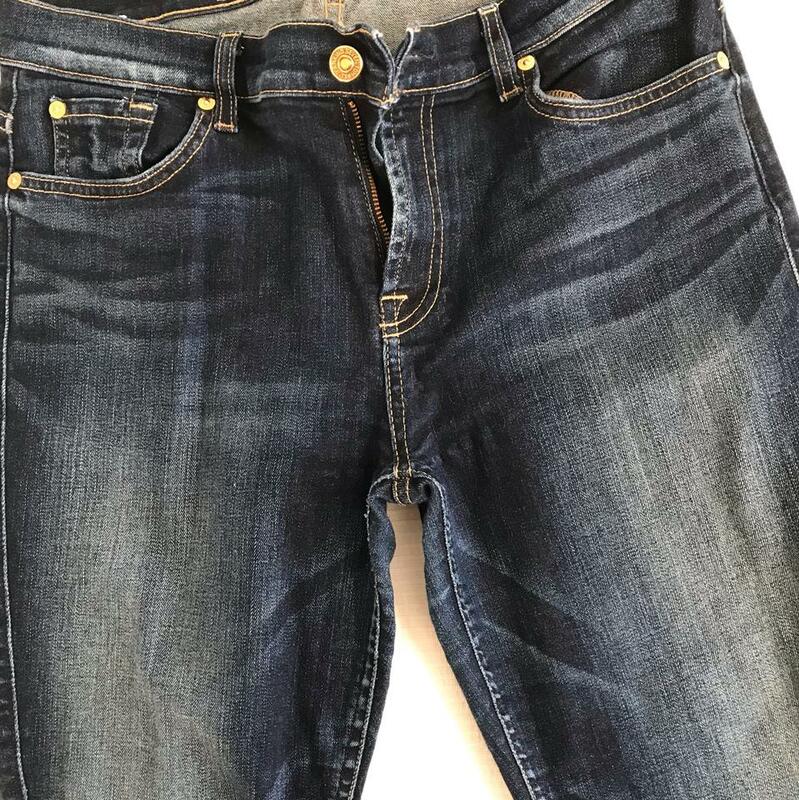 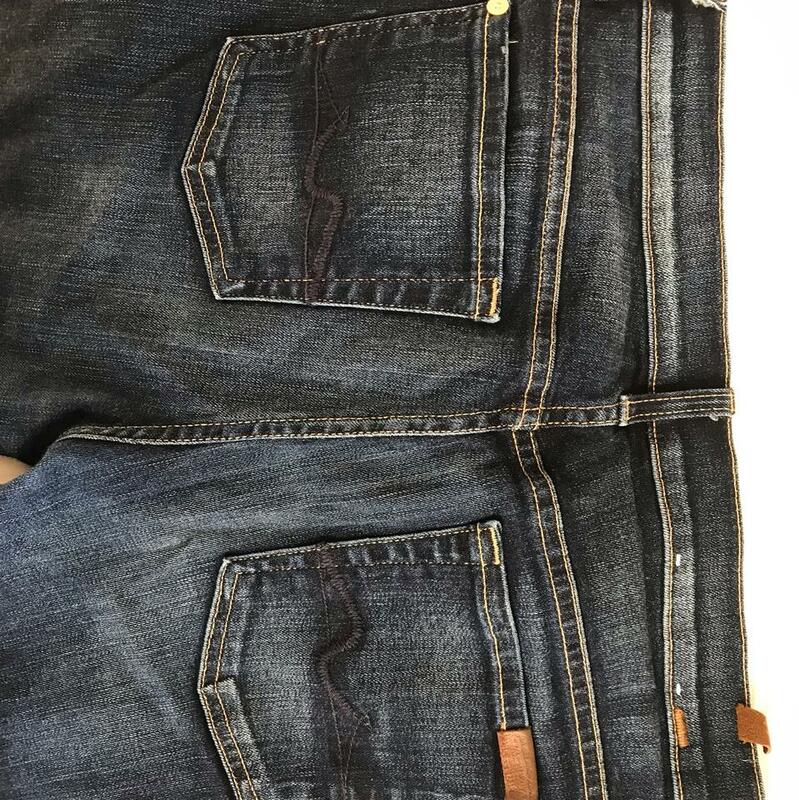 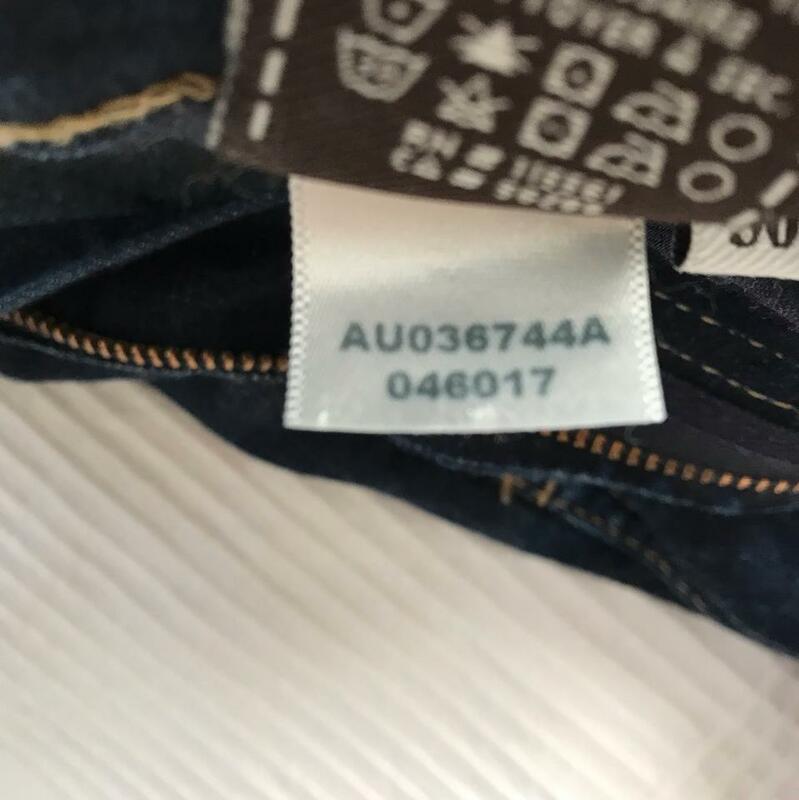 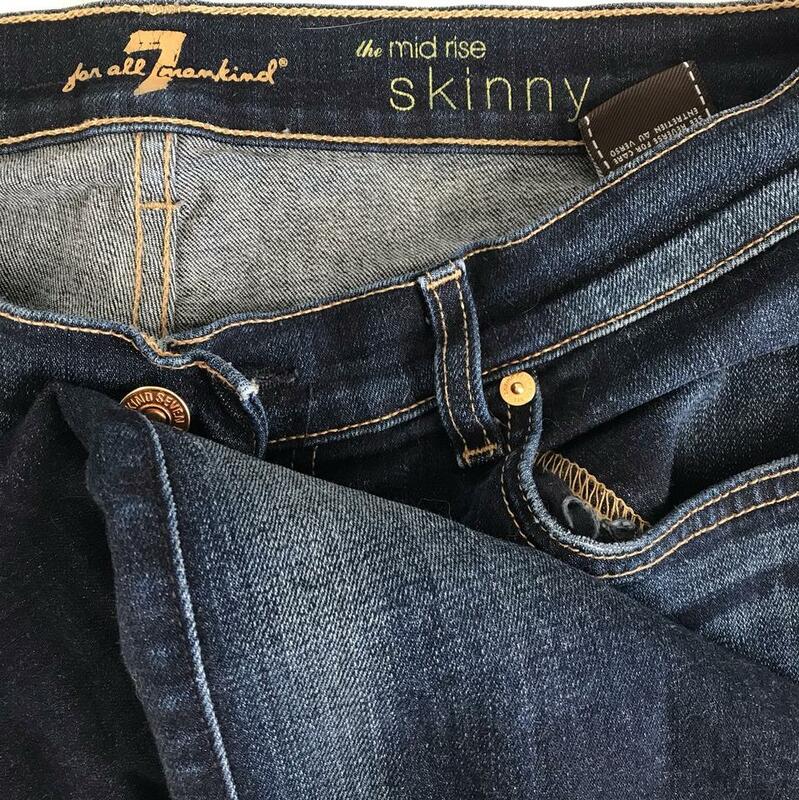 Medium wash skinny jeans in size 30. 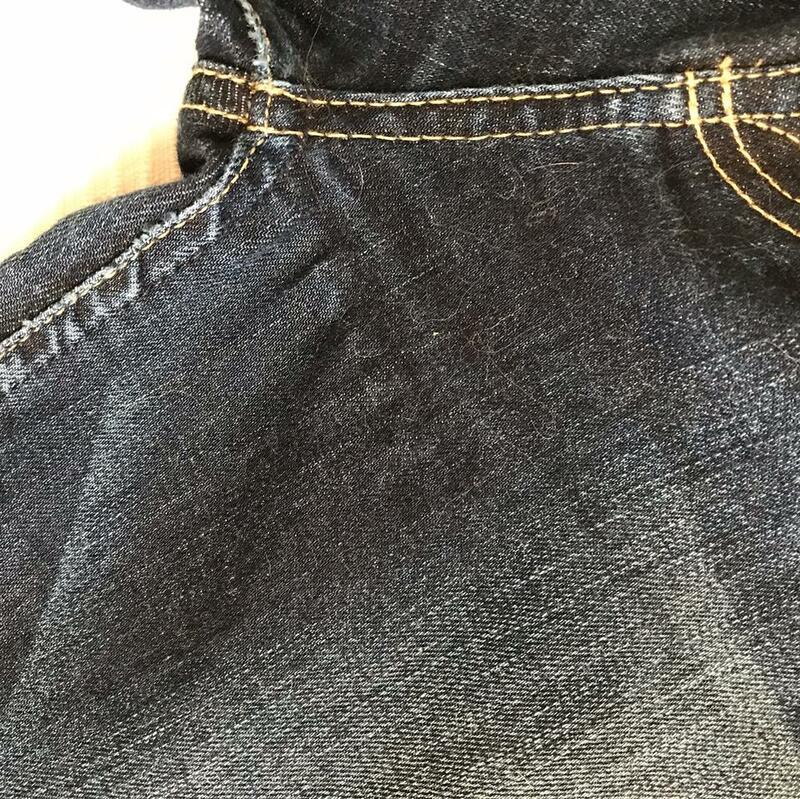 Light wear. 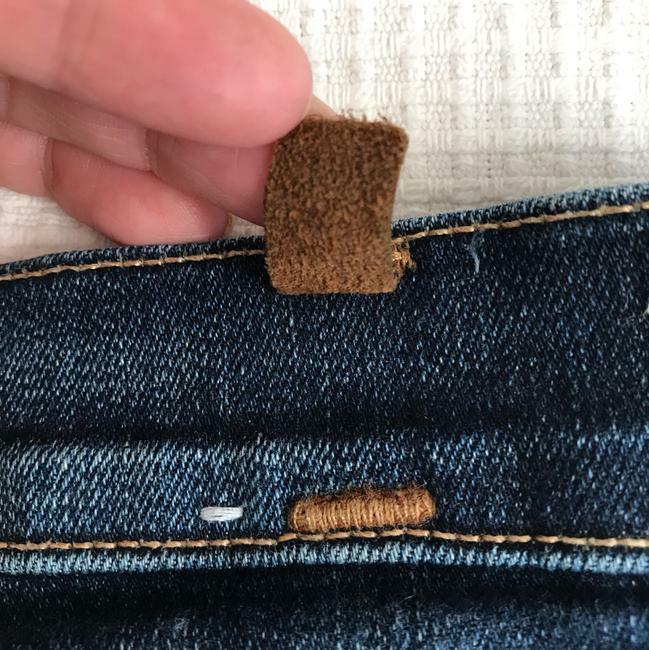 Pulled leather tab near belt loop (see pic) and some stretching near inseam (see pic).